Soak in water separately at least 6 hours. Mix well, and keep a lid, set aside for 8 hours. Add salt leave for 1/2 an hour. Note :- the batter should be a little sour.It must have a thick flowing consistency. 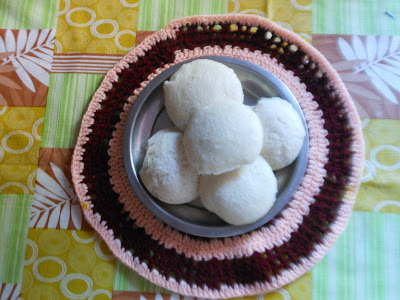 Serve idlis with sambar, coconut chutney or as you like.